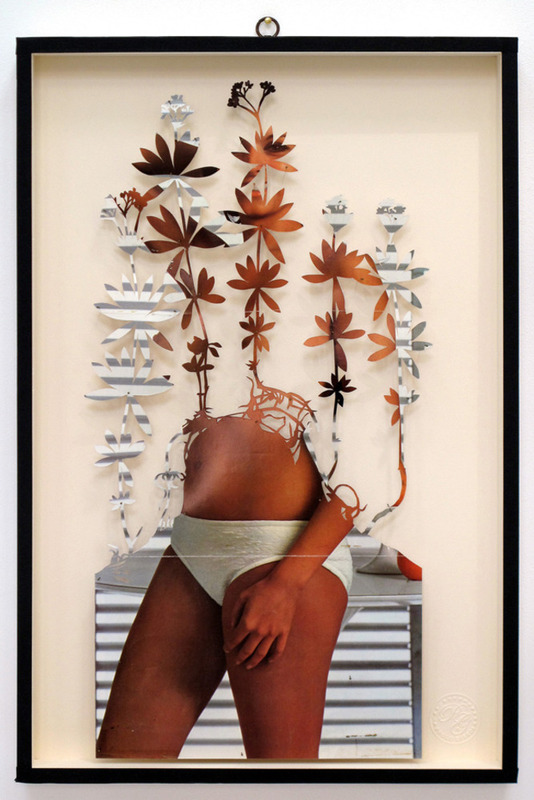 Italian artist Paulo Giardi's cut-out interventions of vintage centrefolds from adult magazines are intricate musings on voyeurism. They are on show at Less Is More Gallery, Paris. What do you get when you cross one artist's fascination with collage and botanical art with a collection of vintage pin-ups from the 1970s and 80s? In the case of Paulo Giardi's work, the result is more tasteful and thought-provoking than you might imagine. 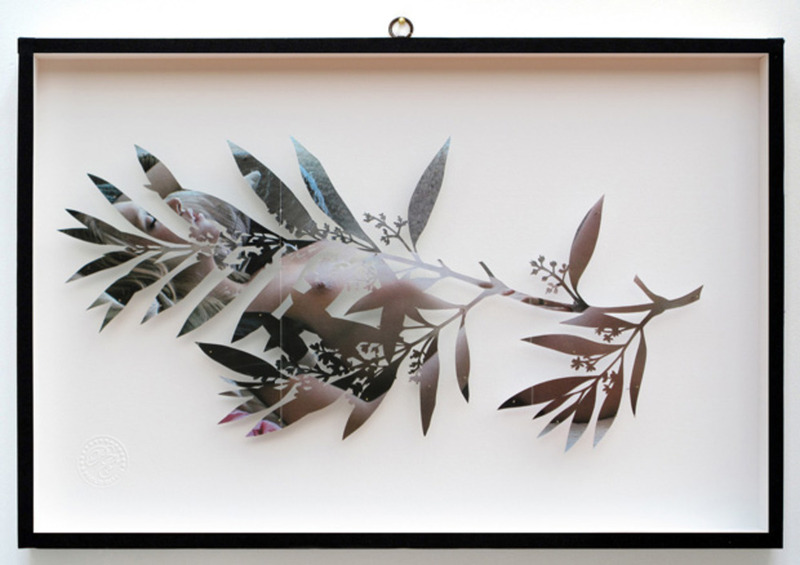 His on-going series You Can Learn a Lot of Things From the Flowers, comprising 66 delicate cut-outs is presented at this Paris solo show. 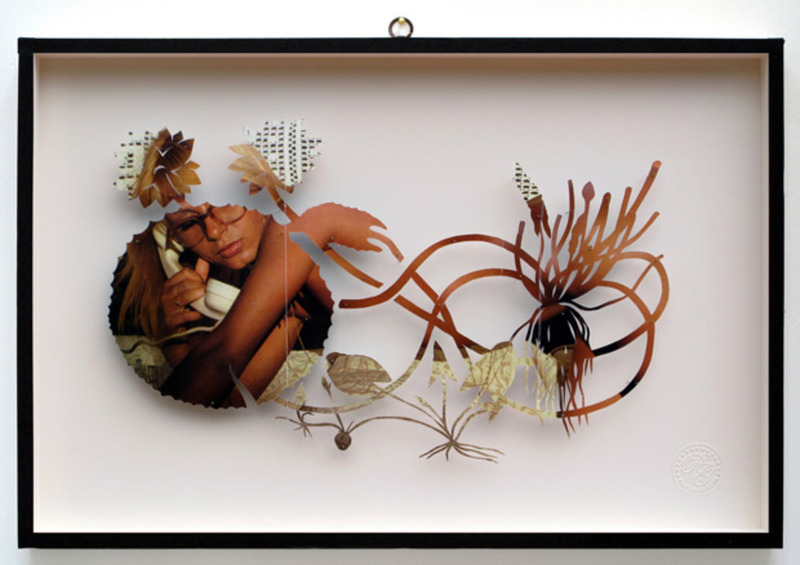 The artist's intervention in the printed objects — a feat of the most intricate composition and cutting — has radically altered the act of looking required of the viewer of these soft-core adult images. 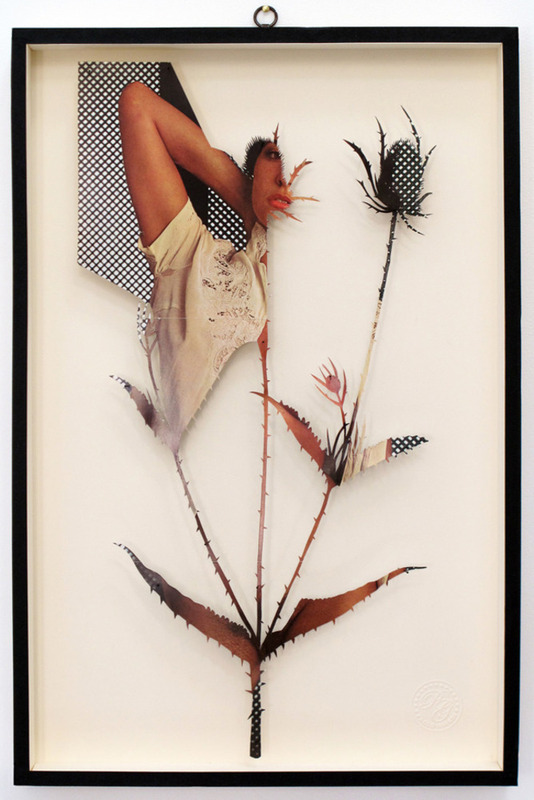 Some are obscured to the point of complete abstraction of the photograph, shifting their recognisable pictorial form completely to a botanical silhouette. Others prompt a process of deciphering, that nods to the scrutiny of form practiced by the maker of botanical images. All set up a conversation between the artist's process of decoding and reconfiguring and the viewer's process of disentangling and interpretation.